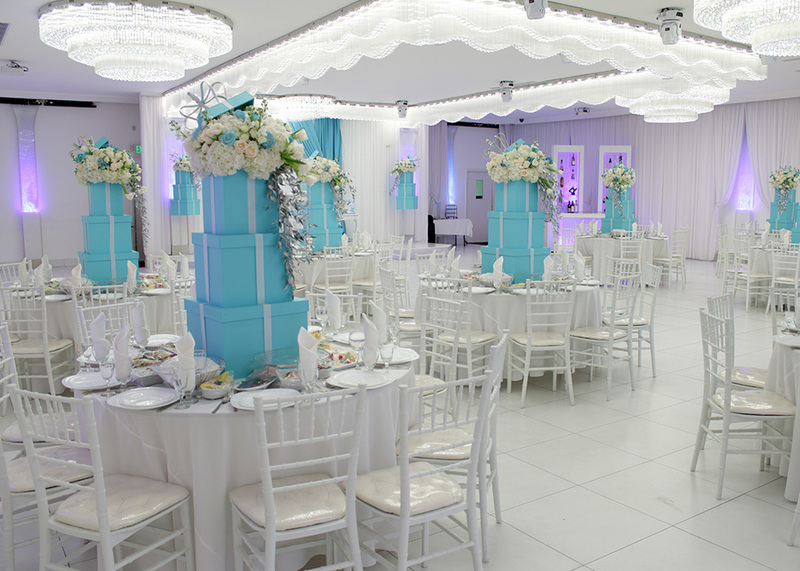 From wedding receptions to quinceañeras to corporate events, Blush Banquet Hall is the perfect event venue in Los Angeles for special occasions of all kinds. 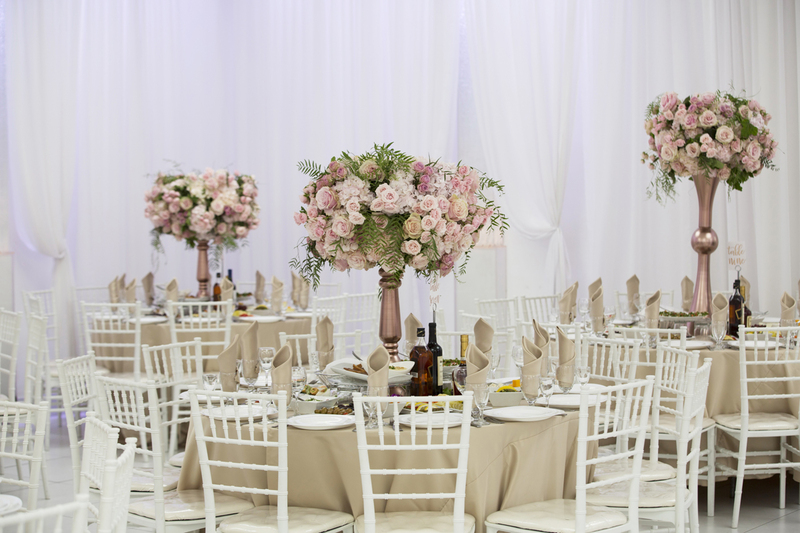 No matter if you want a themed children’s party or an elegant wedding reception, our versatile space can be transformed to fit any style or tone. 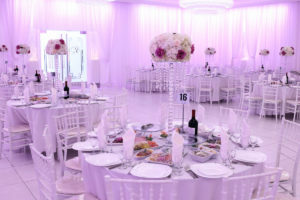 Attention to detail and excellent service combined with our dazzling venue is what makes Blush stand out from other banquet halls in Los Angeles. 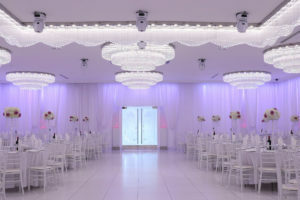 Our state-of-the-art event venue features elegant wall draperies, spotlights that correspond with music to ramp up the energy, stunning chandeliers and other beautiful fixtures with ambient LED lighting, and upscale white flooring. 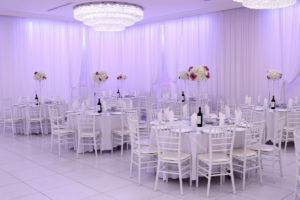 We also provide a stage area for live bands and DJs, and a 300-square foot foyer with a portable bar stand and decorative table. 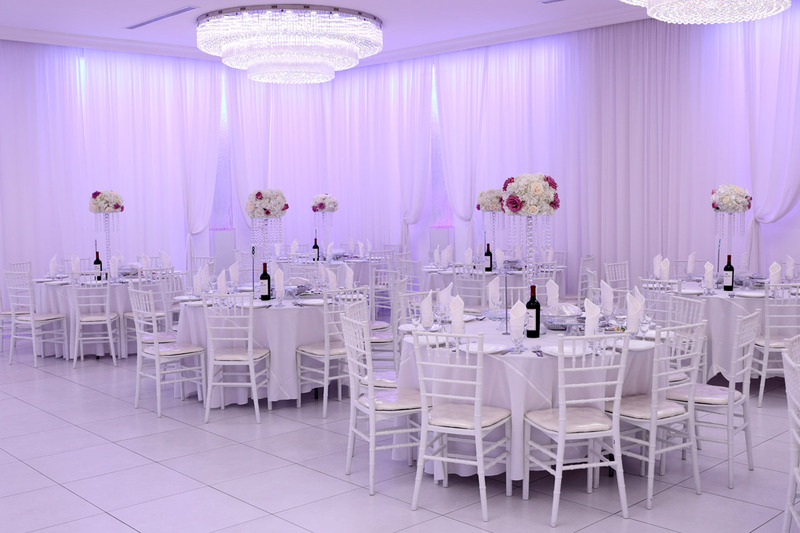 If you wish, we also offer custom decals for the dance floor area, such as the initials of the wedding couple or a company logo. 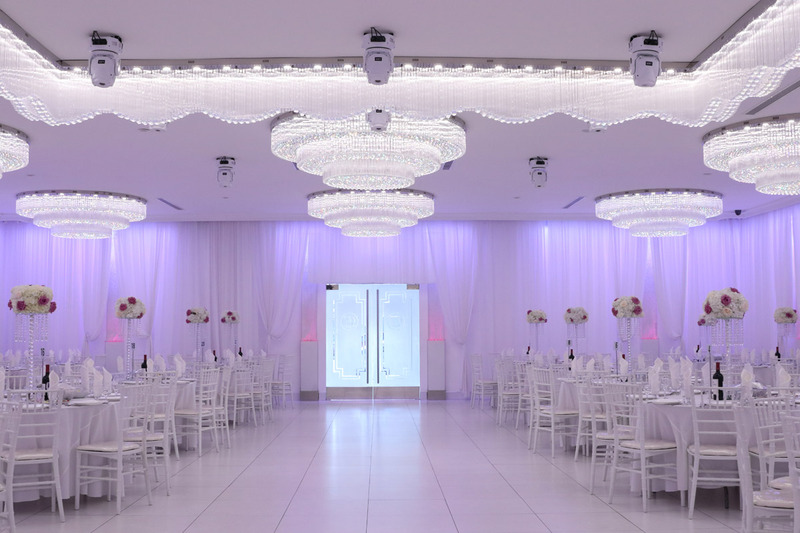 Our venue is 2,300 square feet with space to accommodate 250 guests—perfect for corporate events, social gatherings, parties, and weddings. 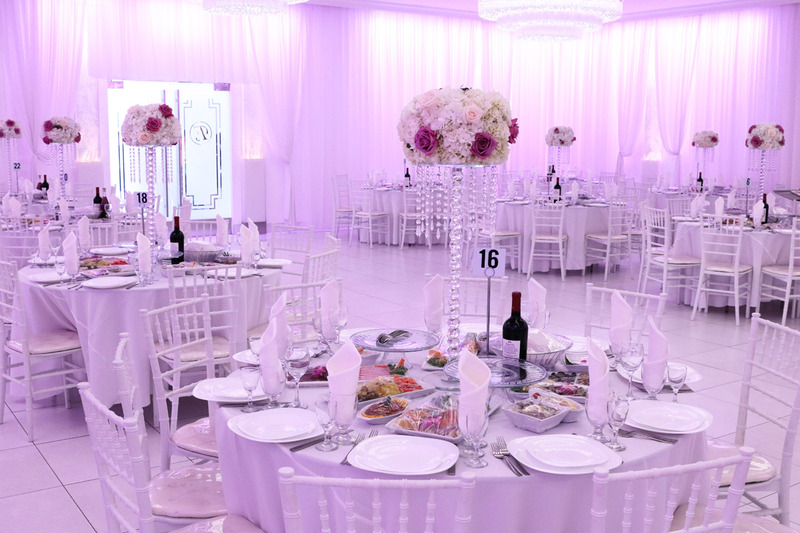 When you decide to host your event at Blush Banquet Hall, our team works with you to make sure the event is tailored to your specifications. From lighting to décor to the tableware, we want to reflect your vision. 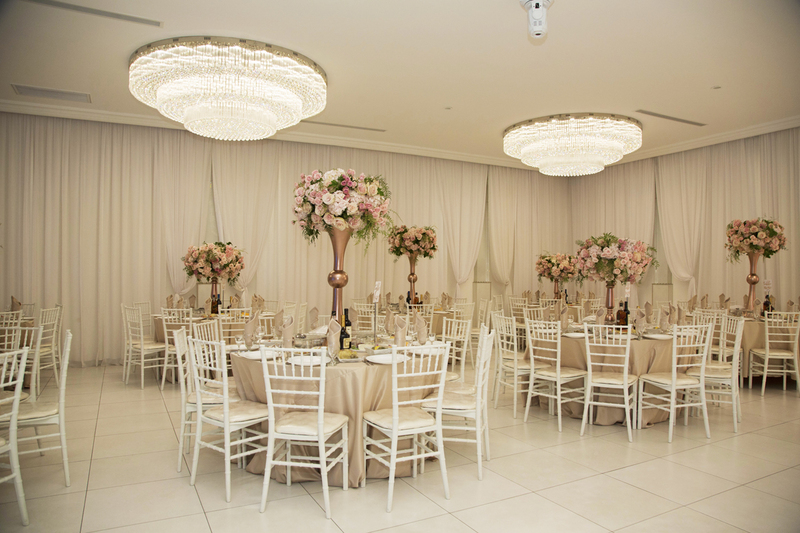 Our event venue is versatile enough to make the perfect setting for any type of event! As one of the best event venue in Los Angeles, our mission at Blush Banquet Hall is to keep you satisfied and excited about your event from beginning to end. 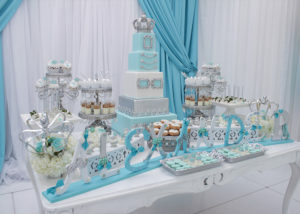 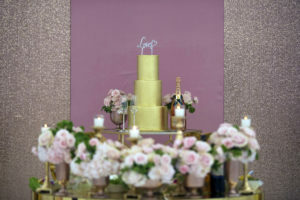 As professionals who have been in the party planning industry for years, we understand the most common issues and questions that our clients have, and we work hard to solve any unexpected problems so that the day of your special occasion goes as smoothly and successfully as possible. 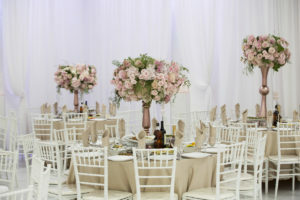 Our in-house catering perfectly compliments large events such as weddings and birthdays! 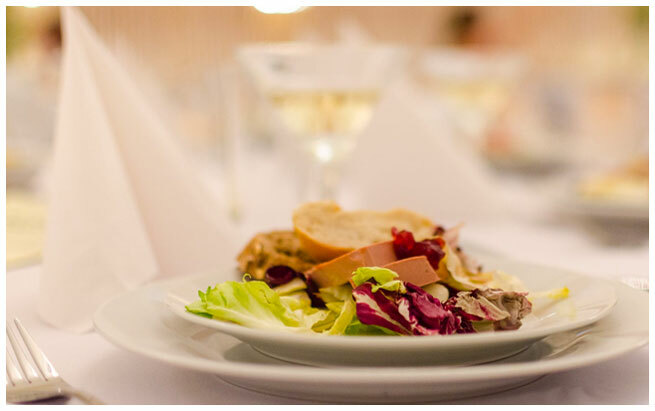 Whether you select our incredible Mediterranean menu or our popular international menu, you can rest assured that your guests will be very impressed with the food at your event.